Annie Bell White-Moss is an Americus-grown woman. She grew up in town, went to the local high school, and ran her own business in town. 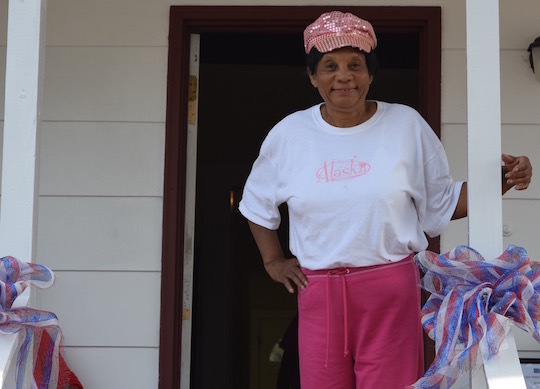 Now, she has turned an old property of hers into something to give back to the community she loves so dearly: a shelter for homeless veterans. After finishing cosmetology school, Annie Bell noticed that the home two doors down from her was for sale. After purchasing the home, Annie Bell paid $50 a month to Mr. Clover, the previous homeowner. Annie Bell finished payments on the house after ten years and ran a beauty shop out of it for thirteen years. Eventually, Annie Bell’s beauty shop outgrew the house on Hampton, and relocated to a bigger property. The home sat empty for years, and eventually, the city moved to condemn it. That was when the house came back into Annie Bell’s life. Annie Bell’s husband, Charles Moss, passed away in November of 2015. “I decided to try to make it a veteran’s shelter in memory of him, because he was a navy veteran.” After four months of work on the home including a new roof, new wiring, and new plumbing, the home is nearly ready for business. Annie Bell dedicated today as a visitation and dedication of the home, letting anyone who may need its resources know that it is available. Annie Bell is working with the town of Dublin, GA, to let the town’s homeless veterans know that resources are available for them in Americus. The local shelter in Americus is also sending overflow to Annie Bell.